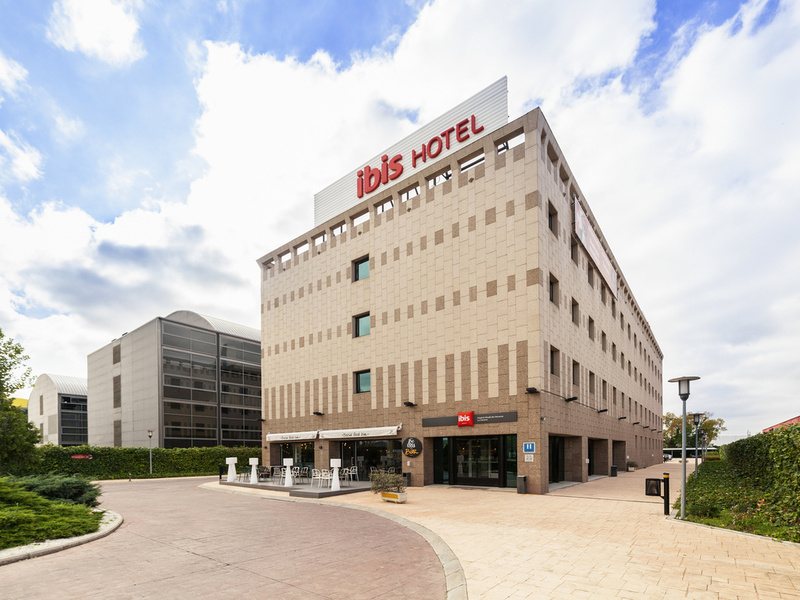 The ibis hotel in Alcalá de Henares is located 0.6 miles from the town's historic center, just 547 yds. from La Garena shopping center, 9.3 miles from Barajas Airport and the IFEMA exhibition center and 14.3 miles from the center of Madrid. Its comfortable rooms are fully equipped with air conditioning, heating, LCD TV and WIFI. In Alcalá de Henares, this ibis hotel offers guests private parking and a well-priced 24-hour bar. In the immediate vicinity, guests can play golf or tennis. A relaxing break in the bar: At all times of the day, lots of people meet in the Ibis bar to enjoy a moment of relaxation.